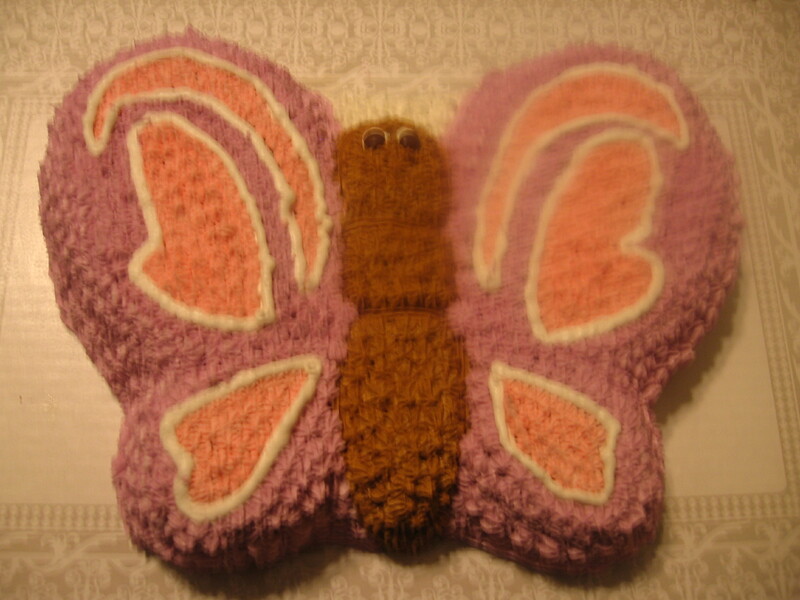 Butterflies are always a fast and easy cake for birthday, summer parties or just to make Mom feels like she is special. This cake is made with the star tip. The eyes are mini MM’s. This entry was posted in Cakes and tagged Cake. Bookmark the permalink.